As we enter the last month of the first quarter, it is the final chance to make this first quarter count. It is time to make up any shortfalls and start to think about your goals for the second quarter. This makes it sound tough and it is, you can’t make dreams happen by letting the time drift by, you have to take action and work hard for your dreams. Living the dreams comes later, after the hard work and the sacrifices you have made, to ensure you start living your dreams. Last month we looked at planning; how we break down goals into tasks that are possible to complete and to break these tasks into something that takes just a small amount of time. The idea is making something which you want into something that you achieve. It isn’t easy, it takes hard work and determination to see a dream come to reality, it is possible so don’t give up! Let’s go over these points again to turn those dreams into actionable tasks. Focus on the task and ask yourself questions that you need to do in order to complete the task. Ask yourself why, why do you need to do this? What importance is it for you? This process can help identify the willpower to succeed. What can you do that will take ten minutes at a time to head towards your goal? This is the planning part! Write down the tasks in step form. If you want to take a deeper look into these first articles you can check them out here and here! One of the hardest parts you need to tackle is getting the plan past that planning stage, start putting the wheels in motion and moving towards the goals and, therefore, closer to your dreams. How you set up your day is a great indicator if you are going to succeed in your given tasks. This is something that I am working on daily, I have found that depending on how you work, will depend on how well you plan and structure your day. If you have too many tasks which you hope to achieve, the likelihood is that you just won’t complete the list. This does have a negative impact on how you progress through towards your dreams. One thing we must talk about is procrastination, it is something that we all do, we put off doing something, the reason isn’t always clear to why we don’t want to tackle a job or task, but the more you let procrastination set into your life the harder it is to say goodbye. Procrastination, whilst on the odd time it is fun to put off a task in favour of a few minutes of pleasure, however, this can become a habit more than a one-off situation. If in the past your daily list is as long as your arm, with a few more thoughts and ideas that you want to do sitting in the back of your mind, there is no way you will accomplish everything and this becomes a negative impact on how you plan and how you tackle your plan too! 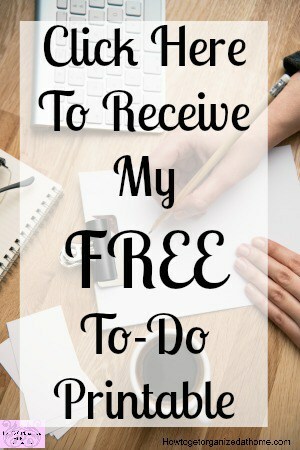 I have found by renaming my master to-do list to something less demanding as for tasks to complete, has helped to take away the stigma on a list that I know will never be completed. I have renamed it ‘brain dump’, this way I know that it is just to get the information on paper and has no demanding action, it is a way to clear my brain and to allow me the time to plan appropriately. Your planning is important, use this time to see the available time and the tasks that you need to complete. It is the planning that you do which counts. Planning is the process in which you need to take actions and find a suitable time to perform them, being prepared for interruptions and time taken up in tasks that need completing immediately, all add to the fun of organizing your day. You have to have a realistic understanding of the time that it takes you to do a task, not the quickest time possible. There is no way that I am going to rush a project to fit it into the shortest time span. I want it done correctly and my best work, no matter the task and, for this reason, I give myself the time I need to get the tasks done on time and not rushed; this is something you can tell has happened and I think it is a sign of poor planning. You don’t have to spend hours on a project to get all the steps complete in one sitting, spread out the task over different periods of time. For me I do have a lot of projects that I am working on, I keep a track of where I am, and before I leave the project, whether I have worked ten minutes or a full hour, I stop and make a plan to what needs doing next and the time frame that I have. I then book these into my planning, it tells me what I need to do and when taking the stress out of the project, I know what I need to do and when I need to do it. I know the time I need and the projects or tasks I need to fit in, I don’t put more into my day than I can accomplish, it moves to the next day or if it is urgent I will rearrange tasks and projects accordingly. If anything, I like to schedule in less and this gives me the time for those unexpected interruptions which take up time that I hadn’t planned. Procrastination, yes I am back here again, what is interesting is that you can teach your body to become ineffective and not seemingly capable of the tasks you need to do to live your dreams. By teaching yourself to put off a task you are building bad habits, ones that will cause you to fail at your dreams, you have to take back control and start focusing on those tasks you can do and just get them done and start living your dreams! It is important you understand the pressure that you put on yourself to live your dreams. To succeed you must focus on getting your planning perfected. You have to find a system that works for you, to allow you the structure that you need to succeed but with the flexibility to change if necessary. One new planner, I am considering taking a closer look at in the future is this, it seems to cover many areas in the right amount of detail! I am looking at this side of things this month; this is where my focus lies, in making sure these areas that are working in harmony together. I need them to get along so that my planning and implementing plans work together and not apart. Therefore, this month past, for me has had its ups and downs, it has challenged me, but when I look forward and see this is the final month for that first quarter, the final hurdles to meet it gives me the encouragement to push forward and to enjoy the ride towards my goals and dreams. Ensuring that my planning is working and that this final month gives me encouragement and drive for the next segment of my journey towards living my dreams and I hope it helps you, living your dreams! If you are looking for more articles on this topic head over to the landing page where you will find links to other posts on setting goals. What is your favourite tip to enusre you start living your dreams?